Alfa Romeo Berlina PDF Workshop and Repair manuals, Wiring Diagrams, Parts Catalogue, Fault codes free download! Alfa Romeo Berlina 1750/2000 (both 105 series) are a compact representative car that was produced by the automobile company Alfa Romeo in 1967-1977. The 1750 Berlina is a sedan introduced in 1967 with 1750 GTV in the coupe and a convertible 1750 Spider. The 1750 model replaced the early Alfa Romeo Giulia Berlina. Unlike the Giulia, the 1750 had a redesigned body and an enlarged engine, with many similar pieces of simultaneous models in the Alfa Romeo range. It should be noted that this model was sold less successfully during its production. 1750 Berlina was built on the basis of the existing sedan Giulia, which was in production. Alfa Romeo 1750 was presented as a top car in the sedan category with 1300 cm³ and 1600 cm³ versions of the engines from Giulia. In the US, however, the Giulia sedan ceased to be sold immediately and was completely replaced by the 1750 Berlina. The body of the 1750 had an enlarged wheelbase than the Giulia, many body panels were revised, and the interior remained similar. The windshield on the models was the same. 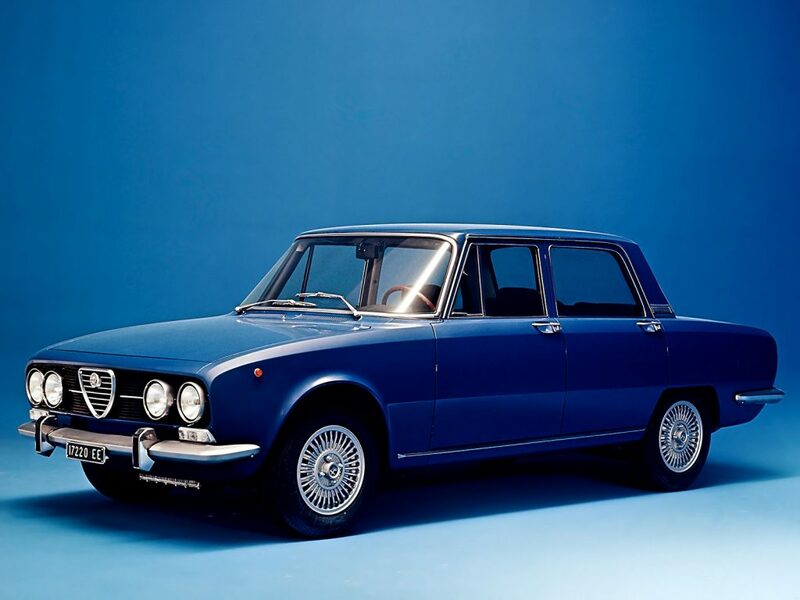 The restyling was carried out by Bertone and, although it resembled Giulia, some of the distinctive folds on the car were smoothed out, and significant changes were made in finishing the parts. The rear side lights were subsequently used on De Tomaso Longchamp. The car had an engine with two carburetors and a hydraulic clutch. The 1.8-liter engine produced 118 hp. (87 kW) with two coupled carburettors. For the market in North America, the Alfa Romeo 1750 was equipped with an injector from SPICA. In 1971, 1750 Berlina was equipped with an experimental automatic 3-speed gearbox from ZF. The model was labeled as 1750A Berlina. According to the official archives of Alfa Romeo, 252 cars were produced and only a few survived to this day. Some of the 1750A Berlina did not have a date plate. The automatic transmission was not very well suited for a four-cylinder engine due to shifting gears and poorly matched gear ratios. Therefore, the fuel consumption was too high, and the set and speed switching was too slow. In mid-1971, the 1750 series was replaced by the 2000 series. 2000 series Berlina was produced by Alfa Romeo in the period 1971-1977. The engine was modernized and became a volume of 1.962 cc. Another radiator grille featured 2000 from 1750. Also the head light was different on these models. The 1750 had 7 inches in headlight diameter, while 2000 was only 5.8 inches. The tail lights were the same, as on 1750. The engine had 2 carburettors, the Alfa Romeo Twin Cam produces 132 hp. (97 kW). The maximum speed of the car was 200 km / h (124 mph) and the acceleration from 0 to 100 km / h was only 9 seconds. In the US, the engines were equipped with a mechanical throttle. The transmission had 5 transmissions (also the 3rd automaton was available on some versions). 2000 Berlina was released in 89,840 copies and only 2,200 were equipped with an automatic transmission.